Playtech has announced in a press release that it will be adding Authentic Gaming’s land based live streamed roulette tables to it’s live casino solution. This is a mayor coup for Authentic Gaming who are a niche provider of land based live roulette solutions. It makes absolute sense for Playtech to do this. 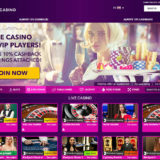 This will allow them to compete with the other live casino providers who already have these types of tables. 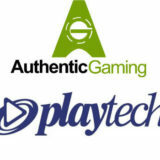 London: February 7th, 2018 – Playtech, the world’s leading Omni-channel gaming software, systems and services supplier, and premium live casino supplier Authentic Gaming, have agreed a break-through partnership enabling Playtech licensees to access live streamed roulette from some of the world’s most famous land-based casinos. 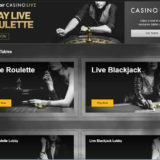 Under the partnership, operators powered by Playtech Live casino software will gain access to live roulette tables located on the floors of land-based casinos, with real croupiers and real players, via Authentic Gaming’s live roulette streams. Authentic Gaming and Playtech have an option to expand the scale and scope of the partnership in the coming months, increasing the number of tables available to players and integrating Authentic’s premium table offering. 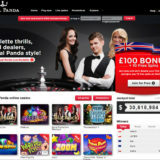 “We have watched the development of Authentic Roulette and other products and, after careful evaluation, we are delighted to have partnered with Authentic Gaming. Its range of tables, land-based casino partners and video stream quality is impressive. 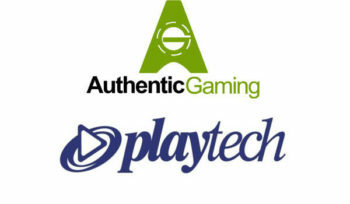 “Playtech is the world’s largest supplier of online gaming software. Through this co-distribution agreement, our land-based live roulette streams will reach the phones, tablets and desktops of a huge number of players through Playtech’s extensive portfolio of tier one online gaming operators.